Oaxaca State, in southern Mexico, is the fifth largest state in the Mexican Republic. Economically, it is one of Mexico's poorest states, but it is rich in culture and tourist attractions. Thanks to its elevation of 1,500 meters above sea level, the climate in Oaxaca City is generally mild, whereas on the coast the weather is quite warm year-round, perfect for enjoying the beach. The area is known for its fine indigenous handicrafts, colorful fiestas, and fascinating history including many archaeological sites as well as colonial architecture. Oaxaca is also well known as a foodie destination, with many dishes based on Pre-Hispanic ingredients, particularly corn and various types of chiles. The diverse population of this state is made up of about 3.2 million and includes around 1.25 million native people of 16 distinct ethnolinguistic groups. Spending one week in Oaxaca, dividing your time between the city and the coast, will allow you to appreciate the cultural and historical significance of the colonial city of Oaxaca and then spend a few days relaxing on the beach. If you have more time, you could easily add a few days at either destination. Oaxaca is considered by some to be the ultimate Mexican destination. Among Oaxaca's attractions are its colonial architecture, indigenous culture, beautiful handicrafts, nearby ruins, and a distinctive regional cuisine. A few days in this city can be spent very pleasantly with day trips to craft villages and archaeological sites, winding up your days in Oaxaca's vibrant Zocalo. Fly into the Oaxaca-Xoxocotlan International airport (there are some flights from Houston, but most come through Mexico City), or arrive overland by car or bus from Mexico City (about 5 hours). Day 1: Take a walking tour of Oaxaca's historical center, visiting the Santo Domingo church and museum, then walking down Alcalá street to the Zocalo. 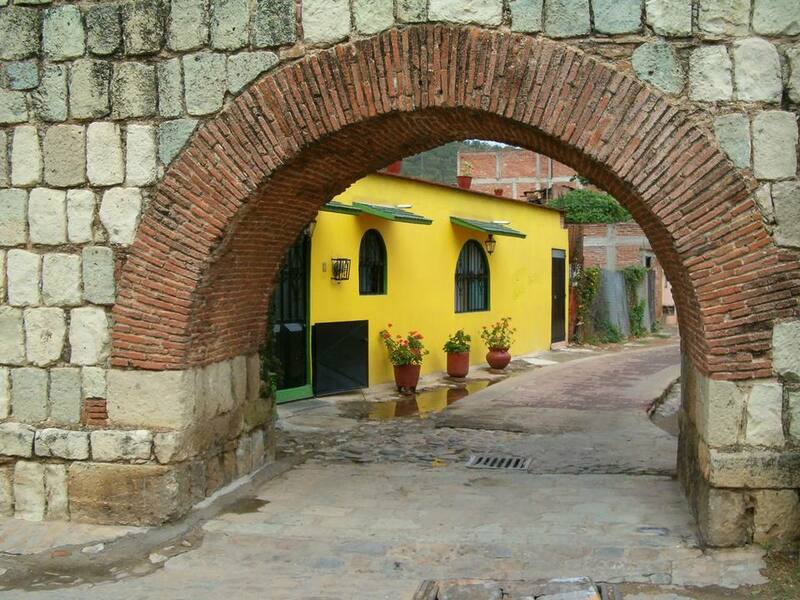 Visit the Benito Juarez and 20 de Noviembre markets and the Mayordomo chocolate factory. Have dinner at one of Oaxaca's excellent restaurants. Day 2: Go on a day trip to the Eastern Valley of Oaxaca and visit the villages of Santa Maria el Tule where you can see the world's fattest tree, Teotitlan del Valle weaving village, and Mitla archaeological site. Day 3: Visit the archaeological site of Monte Alban, and San Bartolo Coyotepec, the village where Oaxaca's famous black pottery is produced. Day 4 - Spend the morning visiting museums or buying some souvenirs. Try ARIPO, the state-run handicrafts shop on Garcia Vigil, or the women's cooperative, MARO on 5 de Mayo street. In the afternoon, fly to Huatulco. Huatulco, on the Pacific coast of Oaxaca state, is a resort area with 9 bays, several of them set aside as ecological reserves and protected from development. Fly into Huatulco's International Airport (HUX) from Oaxaca on AeroTucan. Alternatively, you can take a bus or van service to the coast, but the road is long and winding. Although it is only 150 miles, the drive takes about six hours. Choose from one of Huatulco's top resorts and hotels. Day 5 - Take a boat excursion to explore Huatulco's many bays, go snorkeling and enjoy a seafood lunch. Day 6 - Go on a day trip to Mazunte to visit the Museo de la Tortuga Turtle Museum. Day 7 - Lounge on the beach and have waiters bring you cold drinks while you read that novel you brought but haven't got around to reading, and doze intermittently. Wondering Where to Stay in Huatulco? Check out the Top 6 Options.